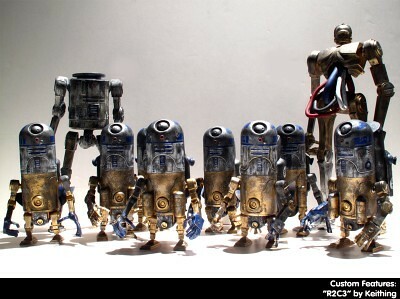 toybot studios: Keithing Custom "R2C3" Armstrong...!! I'm really not sure how I feel about these. 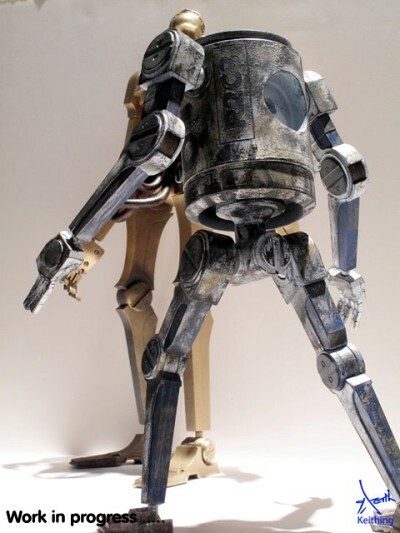 I love Star Wars customs, but this one might cross the line. why? 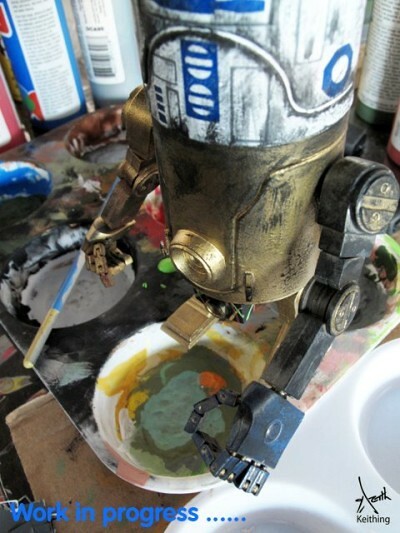 Well... You shouldn't try to mash-up R2-D2 with C3PO. That's like like mashing up Abbott and Costello or Batman and Robin or Mork and Mindy or Frank Sinatra and Sammy Davis Jr. You kinda have to leave them alone. 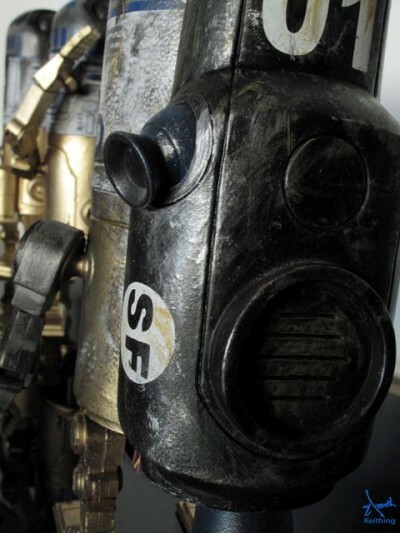 I would have preferred just a straight up R2-D2 Armstrong and I think it would have killed. 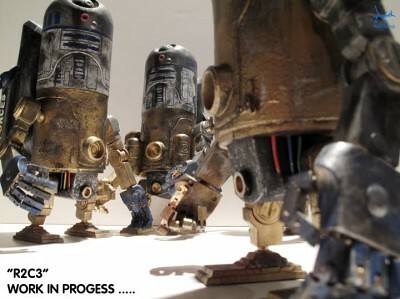 These will be released at Toy Qube on 11.11.11 at 1:11pm EST. How much? I don't know, but i'm guessing north of $300 each.